I am born for the Wandering People clan. My family is from Black Rock Canyon, in northeastern Arizona on the Navajo Reservation. Nasbah Ben is Dine and is currently a graduate student at the University of Kansas, who works to promote the use of freeware and technology to increase the use of online educational material. Ms. Ben received a BS in Environmental Sciences from Northern Arizona University (NAU) where she worked as a student worker with the Institute for Tribal Environmental Professionals (ITEP) in the American Indian Air Quality Training Program. While working with ITEP, she completed research on the effects of ambient air pollution on Tribal Nations. 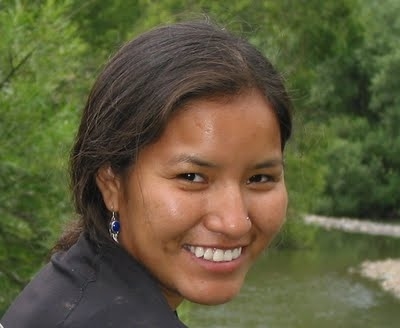 She has continued her research into her graduate studies and is currently looking for cost-alternative ways for Tribes to monitor air quality using remote sensing. Ms. Ben has developed materials on Global Climate Change while working at the Center for Remote Sensing of Ice Sheets and studied remote sensing as a summer intern at NASA.